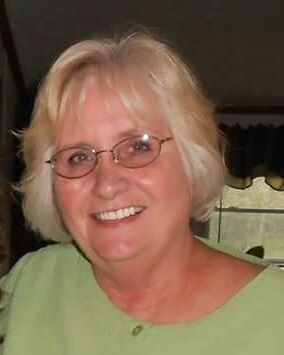 Evelyn Tolhurst, age 69, of Mattawan, passed away at home with her family by her side on August 17, 2018. She was born October 1, 1948 in Buchanan, Michigan, to the late Lester and Mildred Kelley. She is survived by her five children, Deborah Stickney, Sheila (Mark) Gill, Curtis (Freda) Tolhurst, Rhonda (Joseph) Jones, and Angela Young, eight grandchildren, Ashley (Josh) Kuhl, Robert (Lindsey) Spicher, Stephen (Billee) Honda, Meagan Spicher, Alexis Stickney, Brandon Gill, Kristin Tolhurst and Steven Tolhurst, seven great grandchildren, her sister, Ruth (Merl) Timze and three brothers, Steve (Marsha) Kelley, Eddie (Charlene) Kelley and Tommy (Leah Ann) Kelley. Evelyn is preceded in death by her husband, Robert Tolhurst and two brothers, Len Kelley and Johnnie Kelly. Evelyn enjoyed traveling with Robert, spending winters out west and on many road trips. She was very creative and crafted many items by hand as well as painting. She enjoyed sharing these items with her family and friends. Above all, Evelyn loved her family and held a non-judgmental attitude along an optimistic outlook towards life. The family will receive friends on Saturday, September 22, 2018 beginning at 11:00 a.m. at the Adams Funeral Home, 502 West Michigan Ave, Paw Paw. A memorial celebration will commence at 12:00 p.m. with Pastor Tim Gunderson officiating. Following services a light luncheon will take place at the funeral home. Evelyn will be laid to rest at Maple Grove Cemetery, Mattawan. Memorial contributions may be directed to Hospice Care of Southwest Michigan.